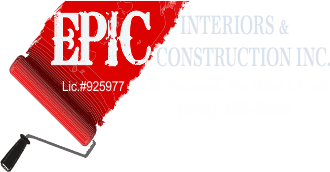 Remodel Contractors Huntington Beach, CA | Epic Interiors & Construction Inc.
Epic Interiors and Construction Inc is the perfect choice for Remodel Contractors Huntington Beach, CA. We pride ourselves with our relationship with the homeowner during their projects. Our customer’s homes reflect the imagination and craftsmanship we put into our jobs. The remodeling process bring many hurdles that need to be met. We handle them with the utmost professional regard for the home owner. Look no further than Epic Interiors and Construction Inc. We go above and beyond to remodel your home to make it feel like a brand new again! When it comes to choosing Remodel Contractors Huntington Beach, CA. Epic Interiors and Construction strives to design and build a dwelling that is not only functional for you, but also as unique as you are. Whether a Kitchen or Bathroom Remodel, or maybe just a new Room Addition. We have all the necessary elements to make your home or business become an investment and/or a dream come true! We provide a clean, honest bid, change orders, and time lines for every project. The best material and workmanship is used to achieve the goals set forth in every job we do. Not only is it your home, but it is a reflection of who we are. We are looking forward to working with you on making your next project as smooth as possible. Thank you for visiting our website and we look forward to working with you. Call Epic Interiors and Construction Inc if you are in need of the best in Remodel Contractors Huntington Beach, CA. 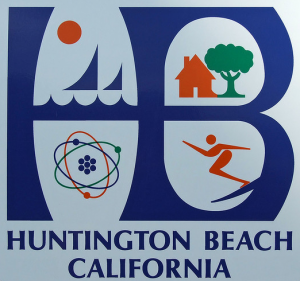 Call (949) 330-0438 to schedule an appointment, or if you’d like to schedule a house call anywhere near Huntington Beach, CA! We Service the Following Locations : Aliso Viejo | Anaheim | Balboa | Brea | Buena Park | Capistrano Beach | Corona Del Mar | Costa Mesa | Coto De Caza | Cypress | Dana Point | El Toro | Emerald Bay | Foothill Ranch | Fountain Valley | Fullerton | Garden Grove | Huntington Beach | Irvine | Ladera Ranch | La Habra | La Palma | Laguna Beach | Laguna Hills | Laguna Niguel | Laguna Woods | Lake Forest | Las Flores | Los Alamitos | Mira Loma | Mission Viejo | Modjeska Canyon | Monarch Beach | Newport Beach | North Tustin | Orange | Placentia | Portola Hills | Rancho Santa Margarita | San Clemente | San Juan Capistrano | Santa Ana | Seal Beach | Silverado Canyon | Stanton | Trabuco Canyon | Tustin | Villa Park | Westminster | Yorba Linda | All of Orange County. And Many More! "After some minor water damage in my kitchen, I made the decision to remodel the space now rather than waiting two years like I originally planned. I did a great deal of research on designers, general contractors, kitchen & bathroom re-modelers, etc., and I asked friends, relatives and neighbors for referrals as well. After several visits to big box retailers, cabinet dealers, designer showrooms and setting up several in-house consultations, I secured six (6) estimates to compare. My decision to hire Travis, Mike and "Team Epic" as I call them was based on the quality of their work, their professionalism & integrity, and their understanding of (and respect for) my wants, needs, priorities, concerns and personal style. Their creative ideas, recommendations, practical options and pros & cons for each major decision were invaluable throughout the process. I was thrilled with the end results and I love my new "open" kitchen! Not only does the style, look & feel tie in beautifully with the rooms & space adjacent to the kitchen, but the kitchen now provides a welcoming and inclusive vibe. Travis, Mike and their team (Jose, Victor, Marcos, Ivan, Joe) were wonderful to work with, and I will definitely hire them to remodel my master bathroom for my next big project!" After interviewing eight different contractors we found Travis Bowen with Epic Interiors. The search was worth it, as we couldn’t be happier with Epic Interiors and our new home! We remodeled the entire first floor of our San Juan Capistrano home that was built in 1974; kitchen, living room, dining room, family room, and powder room. We wanted an “open concept” without adding to the footprint of the house. A wall was removed between the dining room and kitchen; and the kitchen was moved, yes moved, to where the family room once was. It wasn’t just a simple remodel to update the rooms. It was an out-of-the-box, creative design, that specifically met our family’s needs. Epic Interiors & Construction was the perfect team for us to work with because they listened to what we wanted, gave invaluable advice, and produced exceptional craftsmanship throughout the entire project. Here is a summary of our experience with Epic Interiors & Construction and why we highly recommend them to anyone considering a remodel. Epic estimated 3 months for construction (everyone else estimated 5 -6 months). Our project was completed within 3 months! They were very professional to work with. Their initial quote, as well as add-on expenses, were fair and competitive.There were no surprises when we finalized the bill. Epic made it possible for us to stay in our home during the remodel, and took extra care for our indoor cat. The site was extremely clean everyday and our neighbors appreciated how respectful and professional the entire crew was. Travis Bowen knows his stuff and he has built as exceptional company with Epic Interiors & Construction. Every crew member, sub-contractor, and laborer who came into our home were professional, highly skilled, and a pleasure to work with. What sets Epic apart from others is that every person on the job takes pride in their craftsmanship. Mike was our project manager and he was unbelievable! His attention to detail, daily communication, craftsmanship and professionalism is second to none. Our project had its share of hurdles along the way but they were never problems according to Mike; instead they were “opportunities to problem solve"! You gotta love that positive mind-set! I am pleased to share that every hurdle was addressed and all problems were solved, thanks to Michael. If you hire Epic and Mike is assigned to your project you just won the lottery! Junior (also known as Jose) was responsible for our new drywall finish, ceilings, paint, and many other important parts of our remodel. He did an amazing job - our skip trowel finish is the best I’ve ever seen! He is an exceptional craftsman, installing our pocket door and exterior door locks with extreme precision. Don, the electrician, was also a problem solver. We had a few challenges with outdoor speakers, indoor speakers, and all the other high-end appliances we installed in a 40+ year old track home, but he never gave up. He responded to every question and request we had. We were out of town while the plumbers were here but our neighbors had high praise for their professionalism and cleanliness. They ended up re-plumbing the entire house and provided new plumbing for the Meile steam/combi oven in our new kitchen island. It was an extravagance but something I really wanted, as a seasoned home-cook. It’s exactly what I wanted and I enjoy using it on a daily basis. We couldn’t be happier with our remodel and the entire construction experience with Epic. Travis, Mike, Junior, Don; they all went above and beyond. Travis spent time helping us with things beyond the construction. He sent us links to bathroom vanities from Houzz, provided samples of flooring, and even gave us suggestions for furniture. His recommendations were always right on. Michael is like the gift that keeps on giving. His pride in a job completed well is second to known, and his drive for customer satisfaction is comparable to Nordstrom. "We hired Travis Bowen of Epic Interiors based on a recommendation from a coworker who had completed a whole house remodel. Epic Interiors completed an entire house renovation of a two story 3800 sq ft home built in 1976 from a 4 bedroom 4 bath into a 5 bedroom and 5 1/2 bathroom house. Travis and crew replaced all the plumbing, wiring, asbestos remediation, windows, doors, added supporting steal beams to create an over sized kitchen with custom cabinetry, removed a massive double sided 2 story brick fireplace, bumped up the roof line above the garage, designed a master bathroom, installed dual HVAC units, a whole house fan, two instant hot water heaters, up to a new composite roof and painted the interior and exterior. Travis coordinated with us via phone and email and arranged meetings during project milestones because we lived remotely. Travis created a detailed project plan initially and guided our choices to remain within budget. His crew was respectful and clean throughout the project according to our new neighbors." "Travis is wonderful. He was helpful in helping us choose the right design for remodeling a 40 yr old bathroom into and "EPIC" sanctuary. His team is professional, knowledgeable and very friendly. They came into our home and treated it like their own. Fully aware we there and always respectful of us. The work was completed in the time frame, budget Travis gave us and the results were even better than anticipated. We will be doing more updates and Travis will be our first call." "I had a water leak and contacted Kelly. His workers were very friendly and hard working. They did a great job. I picked out the flooring and paints which I love. Very happy and will use and recommend them again." "Epic did a great job on my remodel. They always did what they said they would when they said they would. I have used other contractors in the past and experienced delays and changes in agreed materials. Not so with Epic - great integrity and professionalism. I feel like I have a brand new house and recommend Epic wholeheartedly." "Travis and his team were extremely professional and did superior work. Travis worked with me to make sure my vision came to life and offered fantastic suggestions to make it even better than I imagined. Every member of his crew was polite, on time, did fantastic work and made sure to leave the place tidy and the end of each work day. I would definitely recommend them to others and would hire them again for future projects." "Travis impressed me from the first meeting. He took detailed measurements, explained which of my ideas were budget friendly and which ones weren't, provided a line by line quote that we went through, and once started was available by phone or email daily for any questions comments or concerns. The work was high quality and detail oriented. He listened to our questions and concerns and we were always able to come to agreement. When I was being very picky about some finishing work, he went the extra mile to make the work to better-than-perfect specs. We love our remodeled home and cannot think of a better experience, and will hire him again easily." "I was nervous about hiring a contractor for our remodeling project. After all, we were spending a lot of money, and it’s impossible to know everything about contractors under consideration. Our choice of EPIC turned out to be a good decision. We are very pleased with the process and the final result. We recommend them and plan to hire them again. Every person with EPIC, from the owner on down, was professional and courteous. Travis, the owner, and his assistant Mike were responsive to emails and texts throughout the process. The workers were skilled, meticulous, and took pride in their work. For example, when a technician from a pest control company came to do some work, I overheard EPIC’s tile guy insist he put down a tarp to protect “my floor.” Workers showed up when they were supposed to and cleaned up their work area well each afternoon. Travis was initially reluctant about my unconventional choice of soapstone for the countertops. Once he accepted my decision, he did a great job of coordinating with a second company I hired, Soapstone Werks, to make it happen. For example, Travis made it a point to be onsite for the countertop template appointment and used the opportunity to work out several important issues I knew nothing about with the soapstone guy. Travis does an excellent job of designing a cabinet layout that maximizes space, and he was helpful in selecting cabinet style, backsplash tile, and flooring. I was on my own for other design decisions, such as wall color, faucets, cabinet hardware, lighting fixtures, and window treatments. If you are not confident in your own taste, you may need to hire an interior designer to help you. Cabinets were completed and the kitchen demolished earlier than projected – not the way these things normally go! My overall project took longer than expected, but the delay was entirely attributable to my choice of soapstone countertops, not EPIC. There were no surprises financially. Changes made during the process were priced out, discussed, and agreed upon." "Travis Bowen and Epic were wonderful to work with throughout our project. Honest, hard-working, and detail oriented are just some of the positive adjectives I can use to describe them. Our work was completed on time and in line with the vision we had created for our home remodel. Unlike other potential contractors we had met with who listened little and used the phrase "yeah, we've done lots of these, so don't worry", Travis always took the time to listen to our ideas and then either implement or inform us why it wasn't possible. I would recommend Travis and Epic for any work you may be considering them for." "Travis , Mike, and the entire team at Epic were outstanding! We had thought about this project for a long time and talked to several contractors. I was comfortable with Travis and Mike from the first meeting--professional, easy to talk to, listened to us, gave suggestions. I appreciated the detailed estimate--I knew exactly what to expect and the end result was true to the estimate. We started at the beginning of October and needed the entire project complete by Thanksgiving which included carpeting the entire upstairs and part of downstairs, wood floors in family room, kitchen , and through to the front door, complete kitchen demolition and new everything! Travis and Mike were on top of everything! We completed the project the week before Thanksgiving! I can't say enough about Travis, Mike, Junior, Israel, Victor, and the whole team. All of these people were a pleasure to have in my home! They were extremely skilled, polite, friendly, and beyond helpful. I really appreciated that Travis and Mike responded immediately to any questions--communication was a breeze! Most important--I LOVE MY HOUSE! The kitchen and new floors are absolutely beautiful!! Lots of company over the holidays and rave reviews for the beauty and workmanship! Planning to do bathrooms in the near future and Epic is definitely my choice. Thank you Travis and Mike!" "Travis and team were great! They worked with us on a tight timeline, incorporated all my ideas and were very clean and respectful of our home. I have my dream kitchen now!" "We hired Travis Bowen and his team for a major remodeling of our house. This included remodeling of the kitchen (with custom-made cabinets) and bathrooms, installing wood floor, replacing carpet,Pex repiping of the whole house and addition of LED dimmer bulbs. Travis and his team were there for us at every step and just a phone call away. We were impressed by enthusiasm, caring and honesty we saw in various team members. They were good listeners who were involved in bouncing back ideas with us, liked to be challenged and to think outside the box and were flexible to incorporate what we desired even through unexpected twist and turns involved in large remodeling projects. I highly recommend Travis and Epic Interiors to those thinking of remodeling their houses in OC area." "I had 2 1/2 bathrooms plus linen cabinet that needed remodeling. Epic Interiors was fantastic, the end result was much better than I expected. Travis and his crew (Mike, Marcos, Ivan & Junior) where top notch, professional, and a pleasure to work with. I will be contacting them for additional work needed in my house." "After a major leak in our family room, my wife and I decided not to use the company that did the remediation work to do the rebuild. We had used this company before for a smaller leak repair and were not overly satisfied with the quality of the work. Doing some online research, we found Epic Interiors & Construction, Inc. After meeting with Travis we were 100% confident we had found the right company to put our house back together again. Kelly was our project team lead and did an excellent job communicating with us every step of the way. His attention to detail is incredible. He is also well versed in dealing with insurance companies. That was a big relief to us. When the rebuild was completed and I had the final walk through with him, I could not find even one small thing that needed to be addressed. I've had a lot of work done in my house over the years and I can honestly say this is the first time nothing needed to be addressed before making the final payment. The workmanship and professionalism Kelly and his team exhibited are second to no one. We will be hiring Travis to do a double bathroom remodel this summer. We can't wait to share our experience along with pictures once the project is completed." "Travis and his crew were excellent. They were on time, kept commitments, and communicated. Work was well done and also on time! Couldn't be happier with the results!" "We had a pipe leak that ruined our entire first floor; everything had to be replaced or repaired. Two neighbors recommended Epic. Travis, Kelly, and Mike projected professionalism, confidence, understanding from day one. The level of craftsmanship and integrity are at the highest level. Everyone showed up on time, was courteous, and always left a clean environment when they left. They made our satisfaction of utmost importance to them down to the finest detail. Another very huge benefit to using Epic, is their ability to work with the insurance company; we can't stress enough how helpful they were in this respect. Plain and simple, you cannot find another company that would do a better job..these are amazing people; they deliver what they promise, and then some." "This was the first time the company had used this type of cabinet material. By him placing the order, Travis saved me the cost of shipping these cabinets from the east coast. I also saved by using an 8-ft piece of granite from his stock. The project turned out JUST RIGHT!. The crew were very prompt and professional. I would use the company again." "Overall very well ! We are happy with our current floor and how they handled our insurance. A few small details were overlooked." "Travis and his team exceeded our expectations. The bathroom is gorgeous and our experience was definitely Epic! We are looking forward to the next bathroom remodel." "I used Epic Interiors for my bathroom remodel project. I have two small bathrooms that sorely needed updating. I met with Travis. He was very friendly and answered all my questions and concerns to my satisfaction. He was also very helpful in helping me pick out tiles, patterns/designs and so on, even meeting with me at the tile store. The personal attention was a big help, and something that most of the other contractors I met with did not offer. Travis was very good about keeping me informed of the status, progress and the plans for each day. He and his crew were always punctual and they were always respectful of me and my property. They were very pleasant and always cleaned up before leaving for the day. I was very happy with the quality of workmanship and was amazed at the final results. I wouldn't hesitate to recommend Travis and Epic, and will definitely use them for future projects." "Travis Bowen and his team did an excellent job explaining, assisting, designing, removing, installing and following up on our Dream Master Bathroom. Everyone at Epic Interiors took care of my home from demo to installation. The tile work is exceptional as well as the carpentry. We replaced all the fixtures, demo and installed a new huge travertine tile shower with a glass surround, a new Kohler soaking tub, new ceramic tile flooring, new custom doors to the master, painting of the floor and ceiling. We kept our original granite counter and cabinets since they were custom made less than 10 years ago. We would highly recommend Epic Interiors to anyone who needed a remodel." "Great - complete remodel of all rooms. Professional, prompt and highest quality. Hands on inspection by owner on continual basis. "Great - complete remodel of all rooms. Professional, prompt and highest quality. Hands on inspection by owner on continual basis. I would recommend to others." "Travis and his amazing crew did a fantastic job on our renovation following a devastating slab leak. His team was timely, courteous and there work was top notch. Travis was well organized and kept us up to date on the project timeline. I would recommend Travis for any home renovation project." "Terrific crew! I had water damage in several rooms upstairs and the downstairs ceiling. When everything was dried out, they were able to handle all the repairs which consisted of restoring drywall and the ceiling, new baseboards, painting and re-carpeting in under 2 days. Everything looks seamless with the rest of the house - we're really happy with the results!" "The entire Epic team was excellent and the thing that really impressed me most was their commitment to getting every last detail right, to complete the job 100%, down to the last few inches of paint. We called Epic originally to help with our water damage but they ultimately became our contractor for replacing the floors and countertops. Their advice regarding materials was awesome - where to go, what was in our range (given the insurance estimate) - and we ended up with wood floors and granite countertops way beyond anything we imagined. We worked with Kelly Rogers and he's a true professional and very good guy to work with and is extremely knowledgeable in the whole process we were involved in - from insurance to safety to construction, etc.. We're contemplating redoing the floors in our foyer now and there is now doubt who we'll call." "This was a big project and Travis did a great job. He's very professional and responsive. It was a pleasure working with him. We get so many compliments on the house." "This project was the second project done for us by Epic Interiors and Construction. Phase 1 (remodel of bathrooms and bedrooms) was previously reported. A comment on phase 1. We still love it and would not have changed a thing. Phase 2 summary? on budget, on schedule and we love the results. An amazing stat in this industry. Epic (Travis and his whole team deserve the credit for making it happen). The phase 2 remodel consisted of adding a 212 square feet expansion to a 1022 square foot house. It involved gutting, expanding and totally remodeling the existing kitchen and adding some additional living space. This project took 4 months. We decided to inhabit the house during this time, a daunting task in retrospect. It was stressful and was dusty and dirty in spite of the barriers put up. However, we think it was worth the effort to be on site. We were available for questions and design consultations, which expedited the project and avoided errors. We strongly recommend staying close to the project, communicating frequently with your general contractor. "Travis, with his eye for design and experience in the industry, worked with us to create our dream kitchen. Matt and Junior did a great job on the drywall and painting. They also had some great design ideas that they shared with us. Marcos, as usual, did a fantastic job on the tile (floors and fireplace). We would use Epic Interiors and Construction for any future remodels." "Travis and his crew were very professional throughout the course of the job. We appreciated that he was very open with us in the process of deciding what we wanted our new bathrooms to look like and was a real partner in helping us figure out what would work and what would not. We did experience a couple of problems over the course of the remodel, but I think Travis does a nice job of either explaining what's happening or taking immediate action to resolve the problem. A couple of our materials got delayed in shipping and Travis was good about communicating that to us and what it might mean for our project timelines. Epic generally outsources plumbing work to a subcontractor (but never uses subs otherwise). In our home the plumber didn't properly cap a pipe, causing a leak in the floor between our bathroom and kitchen below. Travis' crew was at our home immediately to resolve the problem - they redid a portion of our kitchen ceiling and repainted the entire thing within 24 hours, no questions asked. And most importantly, we are very happy with the quality of the work done in the bathrooms. They look great and everything that's been installed works well. This is a company that takes real pride in doing the job well and they have personable employees who are easy to welcome into your home. When we had questions about various things in the house over the course of the project, Travis and his employees were unfailingly patient and helpful in discussing them and talking about our options. Overall, this is a really good contractor to work with and I would have no hesitation hiring them again for future work." "Kelly was very helpful and always quick to respond to all my calls. His crew always arrived when they were scheduled to be at my home. Also very pleasant and trustworthy people. The the drywall and ceiling repair was amazing - could not even tell previously there had been holes in the walls for the plumbing repair." "All in all, I was very pleased with the remodel of my bathrooms by Epic Interiors. The owner, Travis, was very responsive from initial meeting and throughout the process. All of the trades were very courteous, professional, and arrived as scheduled. Prior to start, Travis met with me at the tile/granite distributor to discuss options, products, and ideas. The scope of work performed included remodel of master (new flooring, granite counter, tub, tile surround, rebuilt shower with hot mop, frameless shower door, drywall repairs, etc.) and partial remodel of a secondary bathroom (new tub, tile surround, granite counters). The tile guy, Marcos, was absolutely fabulous. Price wise, I think the pricing for the scope of work is average for the area. I got three bids, and Epic was the middle bid. In the end, there were no surprise charges and we came in exactly on budget. I will definitely call on Epic when we move forward with phase 2." "Our experience with Epic was extraordinary. It was the first time in 42 years of our owning a home that a remodel/conversion went without a hitch. It was seamless. Travis Bowen understood the needs of my husband and consulted with his caregivers to make sure those needs were met. He educated us, informed us, and designed a beautiful space that pleases everyone. He also stayed within our budget. The Epic team is wonderful. They worked every day, all day to get the job done in the shortest possible time and yet, with the exception of a few hours here and there for tiling, toilet installation, etc., they kept the bathroom accessible for use. They also adapted their schedules to my husband's needs, a kindness I found extraordinary. The crews that came in and out were so pleasant and had such cheerful personalities that we looked forward to seeing them every day. I could make this review pages long with praise for this company, but I think the most sincere compliment I can pay them is this: I will call Epic every time I need something done. Since the bathroom conversion, I have used them twice more in less than a year." "The entire Epic team was great to work with. From design and materials selection we never felt pushed to overspend. "The entire Epic team was great to work with. From design and materials selection we never felt pushed to overspend. Travis offered multiple choices and price points and let us make the decisions. The work was done as planned and we were communicated to each step of the way. Epic was able to save us significant $ on fixtures. During the project we even added a new project since we had found a contractor we trusted." 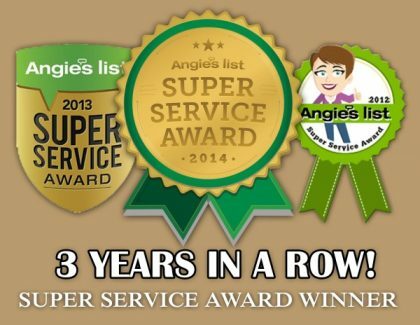 "Nothing less than EXCEPTIONAL service was provided by everyone involved with this remodeling. We selected this company based on a referral and we are glad to have made the right choice. Our family needed assistance with restorations after a flood had occurred in our kitchen. There was a language barrier that limited communication which could have easily caused addition issues. The employees at EPIC had such PATIENCE and UNDERSTANDING of what our concerns were that the language barrier became a non-issue. Our remodel was completed within the time frame promised. The professionalism each employee carries within themselves at EPIC is unmatchable. We initially had no idea what to do but now that it's all over, we couldn't have made a better choice. I would definitely recommend them to any of my family or friends in the future." "Epic repaired and textured drywall that was cut away in several places in my home because of a water damage caused by a broken pipe. I defy anyone to come in and find where the holes were in the wall -- the work was perfect. Travis is so professional, courteous, and nice to deal with and the craftsmanship his team provides is first rate. I have already talked with him about estimating some renovation work I would like to have done. I highly recommend Epic." "Travis, his team at Epic and the end result are just that. EPIC. We wanted something very different and along with our vision and Travis' input and suggestions we got exactly what we wanted: a bathroom we love to be in. Work and materials are top quality, all workers involved were professional. One thing we were not used to during construction is everybody being on time and working every day all day. We had a strict end date due to having to be back at work and Travis made sure it happened. We will use them again because we eventually want some more stuff done and we also recommend people use them. You won't be sorry." "Travis and Epic Interiors just completed a complete bathroom remodel for us. The quality of the workmanship was excellent. We were very pleased with the install and the final result. They were very competitive on pricing and the entire Epic Team were very professional and paid attention to detail. They showed up when they were supposed too and called ahead if they were going to be late or needed to reschedule. (Which wasn't often) It is extremely rare these days to find a contractor who actually takes pride in what they do and Travis and his Team really set the bar...We just moved into this home and are planning on doing several remodeling projects. We will be using Epic Interiors for ALL of them. Look no further, Travis and Epic Interiors have got you covered." "Travis and his team did a great job of customizing cabinets and installing them in a very small kitchenette nook of a recently renovated studio unit in a very old/charming house in Laguna Beach. Went above and beyond in terms of designing and figuring out how to maximize very small space. He even installed the granite in the bath vanity to match the granite in the kitchenette area. Turned out fabulous and he completed on time. I am very direct, exacting, cost conscious and particular when remodeling and Travis did a great job of managing cost, timeline and expectations. Doing a major remodel of the upstairs unit and Epic will certainly be considered for that project." "The project plan was very detailed. There were unforseen bumps in the road, but all were handled professionally and on a timely basis. Work order changes were estimated and handled in order. All our expectations were met and exceeded. This was a 6 week project that took 8 weeks. The extra time was due to conditions outside of Epic's control. We communicated about this and all was good. Travis has an exceptional skill in design. We wound up with a finished product that we were amazed with. We downsized from a 2900 square foot 2 story house to a 40 year old 1100 square foot single story attached unit. He maximixed the storage available for every square foot of this place. Just ask for the pictures and you will also be amazed. "We are now planning expand the home to 1300 square feet which will include roof and room expansion (blowing out of exterior walls), all new windows, doors and a total kitchen remodel. Epic has a great team. We are looking forward to the next phase, probably 6-8 months long for the amount of work that has to be done." "Travis returned my call the same day. He came to my house and provided a free estimate. Even though the job was a small job, Travis took the job and treated it as a priority. The install was scheduled, Travis and his workman arrived at the correct time. Everything progressed as Travis said it would and it came out great. I am very pleased with the workmanship and the professionalism of Travis and his crew. It looks like the door was meant to be there." "It was smooth sailing as it was with our Kitchen Remodel. Every person that came through our door did an excellent job from the demo to the finished product. They cleaned up daily, finished within record timing of what was estimated which was such a blessing when you go from two baths to one. The cabinet design was so expert and when I described what I had in mind, Travis pulled a design from a picture and it was perfect! I love it today as much as I did the first day and every one that comes through our door says it's absolutely perfect for that bath. Every detail was clearly perfected to my expectation. This is the second time we've used Epic as I stated above, he did our kitchen remodel 3 years ago and the superb job he did there was a no brainer as to who we would call for our bathrooms. Epic will start construction on the next project Master Bathroom/shower, cabinetry and complete plumbing upgrade in November. Can't wait as I'm excited to work with his team of experts again. Thank you Travis Bowen, Epic Construction and Remodeling as you continue to perform with excellence!" "We HIGHLY recommend Epic Interiors and Travis Bowen!! Travis takes the time to listen to your ideas and then incorporates them into functional designs, adding wonderful ideas of his own. He is creative, very patient and also extremely practical. Travis keeps to his promised deadlines and is present at every stage of construction. During the construction process, we lived in the upstairs portion of our home; every care was taken to ensure that we were as comfortable as possible. Epic's crew was professional, competent and a pleasure to have in your home. The end result of our remodel was spectacular, and we couldn't have been more pleased. In fact, we are now working with Travis on planning the remodel of the upstairs of our home." "I've never used contractors before nor did I have any idea how to go about selecting a reputable company. I'd seen Angie's list on TV and figured I'd try it. I selected 6 contractors for quotes, all seemed very professional and I'm sure would have done a nice job. Upon speaking with Travis from Epic Interior I knew I was going to use his services right away just based on his easy personality and honest presence about him. Travis was the only contractor that told me he would work directly with my home owners insurance company and would facilitate in obtaining the most amount of funding possible from them, which he did. The guys came in and removed my entire kitchen "EVERYTHING " , they removed part of a wall where water damage had occurred, they repainted my entire kitchen, rehung the blinds and installed beautiful new cabinetry throughout the entire kitchen. We had that dreaded corner in our kitchen that had very little to no access, so we asked Travis if they could build a lazy Susan from the entire corner which he did and it turned out great!! We had our original whites tile counter tops and Travis had us go to the Granite yard in orange where we picked out a beautiful slab of granite for our counters and back splash. They installed our double sided black graphic kitchen sink along with the faucet. Upon completion we were able to replace our stove, microwave, dishwasher and refrigerator, none of this would have happened had it not been for Travis, his persistence and business ethics were impeccable and I would recommend Travis / Epic Interior to anyone considering doing any type of home improvements. "I would not go anywhere for future remodeling except to Travis Bowen, owner of Epic Interiors, and I recommend him to everyone I know. Travis is a stickler for perfection; it shows in the way he conducts his business, his honesty, professionalism and knowledge of his work. He expects the same from all his employees, all of whom are professional, friendly and expert in what they do. Work began 4 weeks ago, and we are in the last week of the remodel, and I am so pleased and pleasantly surprised by the beauty of the work. They all work quickly but thoroughly. They build their own cabinets instead of purchasing them and adding fillers to make them fit. Travis explains every step of the process every day, answers any questions I may have and is there regularly to supervise the work. He finds ways to reduce cost without compromising quality, and cares very much about the satisfaction of his customers. They are on time and work quickly and cleanly. The price was detailed up front, and Travis knew the budget I needed to work within and always kept that in mind when we chose tile and other items. I have incurred no other costs but what he quoted, unless it was something later that I chose to do. Then he let me know the cost of the additional work I wanted done before doing it. Travis does his blue tape inspection on completion of the job. He will give me a roll of blue tape, and I will stick it on any of the work I think could be better. He returns and triple checks every piece of tape he finds and makes it right. I just got a quote on remodeling my kitchen from Travis, and when that time comes, Epic and Travis is all I would ever consider. Excellent work for a fair price." "Due to certain personal matters, I was on a very tight time constrained schedule, and Epic was wonderful at accurately gauging the amount of time it would take, scheduling me within the window of time I had available, and even completed the entire process ahead of schedule. Travis, the owner, is very knowledgeable and took a personal interest in the job, even making time to come out just to check on the workers in the middle of the project. At first, I insisted on wood flooring, but with Travis's knowledge and professionalism, he showed me several other options. I wound up going with a faux wood porcelain tile that looks exactly like wood, but will not be scored by my dogs' nails when they run and play, and is significantly easier to maintain. Without Travis's ability to correctly ascertain my needs and wants from the project, I would not have been as happy with the results. The personal touch was beyond any service that I have ever received. This company is truly concerned with the customer's happiness, and you can tell Mark and Travis really are not happy, unless their customer is beyond satisfied with the work done. The attention paid to detail is also extraordinary. They noticed tiny cracks in 4 separate tiles that they insisted upon replacing, so as to have a perfectly seamless expanse of flooring. These tiny cracks were too small for me to even notice, and they caught them in 3500 square feet of space. I truly believe that there is no other company that could even compare to this level of attention to detail and customer service. The work done by Epic was absolutely worth far more than I paid, and I will never use another provider for interior design, or construction." "I cannot praise Epic Interiors and Construction highly enough. After having a very bad experience with a different contractor earlier in my remodel project, working with Travis and his assistant, Matt was satisfying from start to finish. They were the first job I took 3 bids on from those listed on Angie's List. Travis' bid was fair and the work they did was first rate. In addition, Travis had his workmen there on time and when they left each day, everything was clean and tidy. What I appreciated most was Travis' professionalism and his sincere desire to do the best job possible for me and make sure I was happy. With all 3 projects I hired them to do, Epic did what they said they would do, at the price they quoted me and in a timely manner. I will use them from now on for other projects around my house or for the 2 rental properties I own." "Travis was very helpful with the tile, travertine and accent tile choices. He had some great design ideas. We knew exactly what he was going to do with specifics on the design. His proposal included drywall repair, painting and grout sealing. The bathroom was move in ready when the job was complete. All the workers were very good at what the did and cleane up after everyday." "I cannot say enough good things about my experience with Epic. From the beginning, Travis really listened to my needs and created a creative and beautiful design for me. I was dreading the construction process, but I had nothing to fear. The crew was uniformly pleasant and cheerful, the sort of people I enjoyed having in my house. They were neat and tidy...I couldn't believe a construction site could be so clean! They were patient with me as well, as my ideas changed a bit during the process. The end result has been fabulous. I feel that I received incredible value for the money, and have actually made some new friends into the bargain. I would unhesitatingly recommend Epic for any project." "Overall the project went very well. The team prepared us for the amount of work involved and so we knew what to expect. If there was a problem they listened to our concerns and tried their best to fix the problem." "Completely did two back to back bathrooms. In the end, they are beautiful. However, having never done this before, I wish I had more info from the start regarding what I should look for in cabinets, etc. ( my fault) Also, I wish the hardware was purchased by the contractor for two reasons. To begin, I wasn't clear on what to buy. Second, I could have gotten a better price on the sink knobs, etc. Overall, Travis, Marc, and the team were good people and hard working." "It went perfectly from the initial call to the last detail. Perfect service. Reliable. Professional. Trustworthy. Would never use anyone else again." "We had a leak in the pipes above the kitchen. After we had it dried out, Epic Interiors and Construction came highly recommended by the people that tore apart and dried our kitchen. We met Travis and Mark, they are very polite and always called to let us know what was going on. Every time we called to ask questions they answered the phone or got back to us very quickly. They replaced the missing or damaged drywall. They rebuilt our cabinets from scratch to match the rest of our kitchen. After they rebuilt the cabinets, they refaced the rebuilt and existing cabinets to update our whole kitchen. With the refacing we also got brand new doors and drawers, "We wanted to have the hinges on the inside of the doors." We got rid of the white tile countertops that remained and got brand new granite tops and backsplash (which I love). Travis took me shopping for the granite, after I found the slabs I liked, Travis took the time to find pictures of kitchens with the same granite material so I could really have ideas of my options for the backsplash. We tried to keep the old kitchen faucet but Brent, Travis's plumber, showed us that the seals were bad and that the old faucet need to be replaced. When they updated it Travis made sure to get me samples of handles and knobs for the cabinets to match. I really liked the fact they always thought a head and would bring stuff to me to show me. To finish it all off they repainted the whole kitchen and replaced the broken tiles in the floor from the drying company tearing apart the cabinets . There crews were very punctual and did an amazing job. Even when I didn't see any thing wrong or thought it looked great they always followed up with touch ups to exceed my expectations. My kitchen looks amazing." "I'm pleased to recommend Epic Interiors and Construction to anybody. We purchased a short sale home with over 3,000 square feet, and it ended up being in much worse shape than our inspector had realized. Of the eight contractors we obtained estimates from, no one came close to the professionalism, attention to detail, and personal touch that the owner Travis Bowen provided us. We had to renovate the entire place. We had to get it right the first time, and under the circumstances we were dealing with I am grateful that we found them. Travis guided us to find the highest quality for the best price. He was up front about what to expect, fair, honest, worked tirelessly, coordinated everything to include obtaining other services he himself did not provide or get paid for such as mold removal, and asbestos abatement. He always kept the lines of communication open, showed a lot of intelligence in coming up with solutions for dealing with the myriad of problems that come with a job of this magnitude, followed through from start to finish, and even finished ahead of his promised date, although he did come back to tie up loose ends after we got moved in which of course we wanted. He turned our property into the dream home we have worked so hard for. I'm sure he'd be glad to show you before and after pictures of our place. I can't say enough about him or his company. Thanks a billion!" © Copyright 2019 - Epic Interiors & Construction Inc. - All Rights Reserved.